Satisfy customers & employees with Maple Ridge Farms™ Corporate Variety Pack. Applications are employee appreciation gifts, Christmas gifts, holiday food gifts. 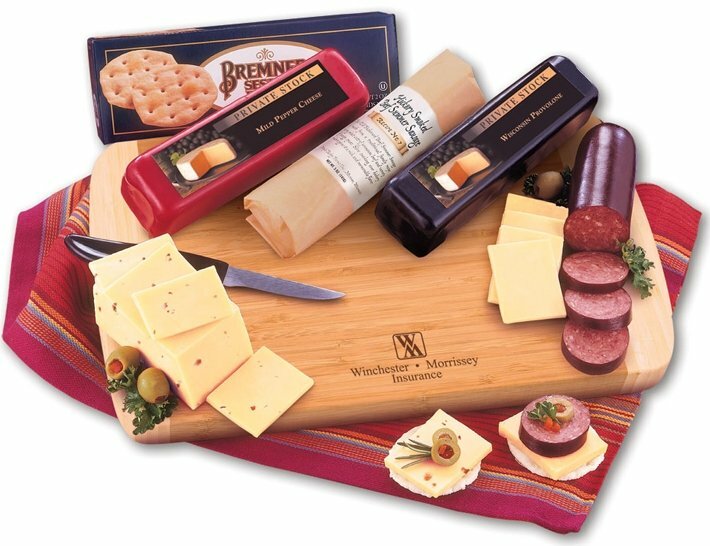 Sausage, Bremmer Wafers, Holiday Knife and 12 x 8 x 3/4 cutting board. Food is Shelf Stable up to 60 days, please store at 72 degrees or less. inserted into a suitable for wrapping white shipping gift box. Normal order must be placed no later than Dec. 6th.